One hour social, One hour of fun, One tired pup—20 dollars. We keep our SmartyPup! socials under our watchful eyes. Our socials are held in a the cleanest space you could imagine! it is divided into two parts. The younger or more cautious pups get their space we call it the 80’s dance room. Or for the Tarzon pups, the mosh pit. When the more cautious pups are ready they can move to the more confident group - in the mosh pit. Never more than 20 puppies (depending on the size of the location), with professional dog trainers monitoring at all times. You pup will learn to enjoy the company of lots of people—especially children, men, strangers—and other dogs of all shapes and sizes. It is called socialization and is something you must proactively guide. A dog with a good temperament is a dream to live with. You MUST register to attend. Please always check for specific dates listed on the registration form and holidays. Tuesday: 7pm at SmartyPup!, 3119 Vicente, Sunset. Wednesday: 5 pm at Jeffrey's 1841 Powell, North Beach. 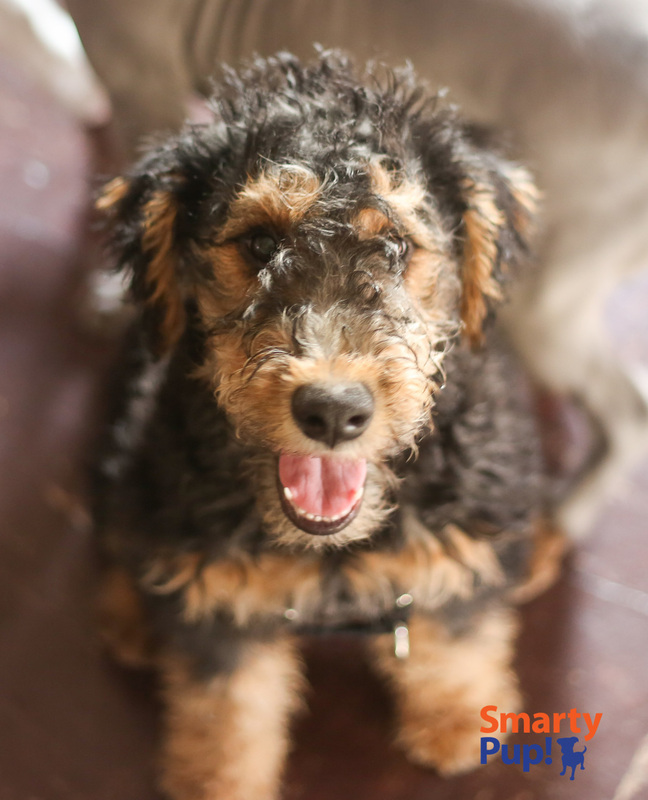 Saturday: 11am at SmartyPup!, 3119 Vicente, Sunset. *Puppy under 16 weeks for its first social. 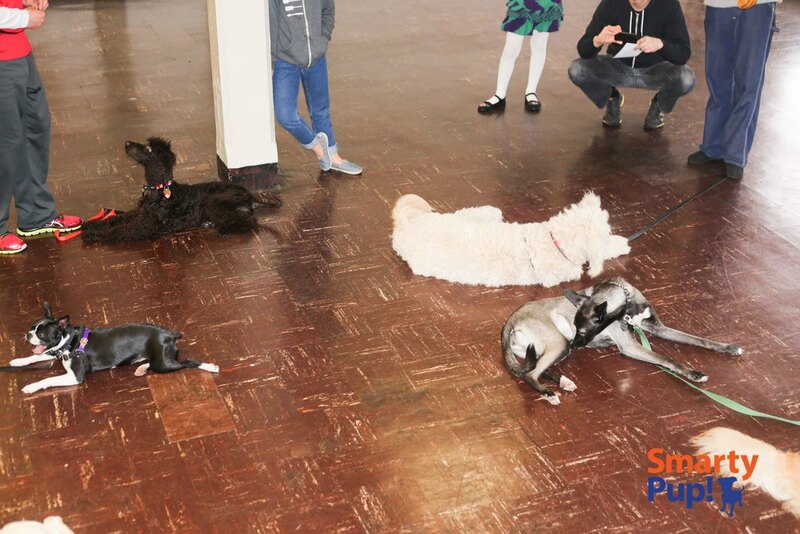 After that you may attend socials until it is no longer beneficial for your pup. 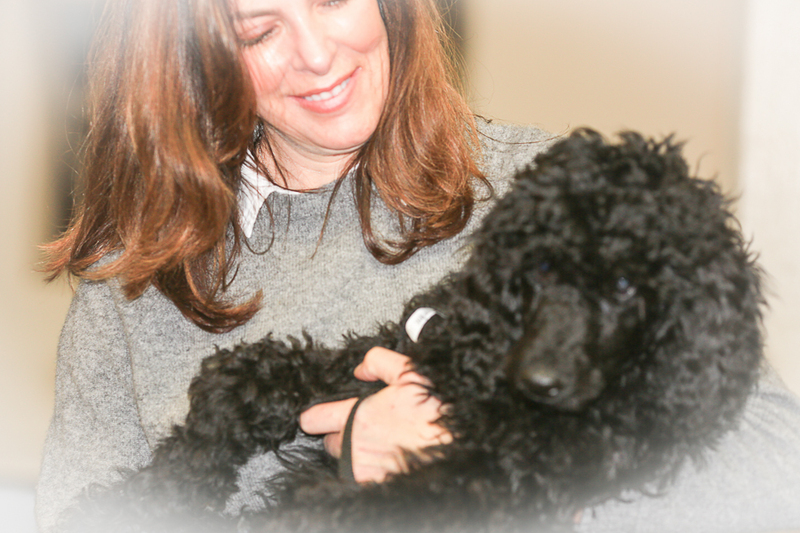 *Your puppy must be under your care for at least 7 days prior to first social / class. *Your pup is in the care of a local veterinarian and/or had its first health check at least 7 days within class/social. 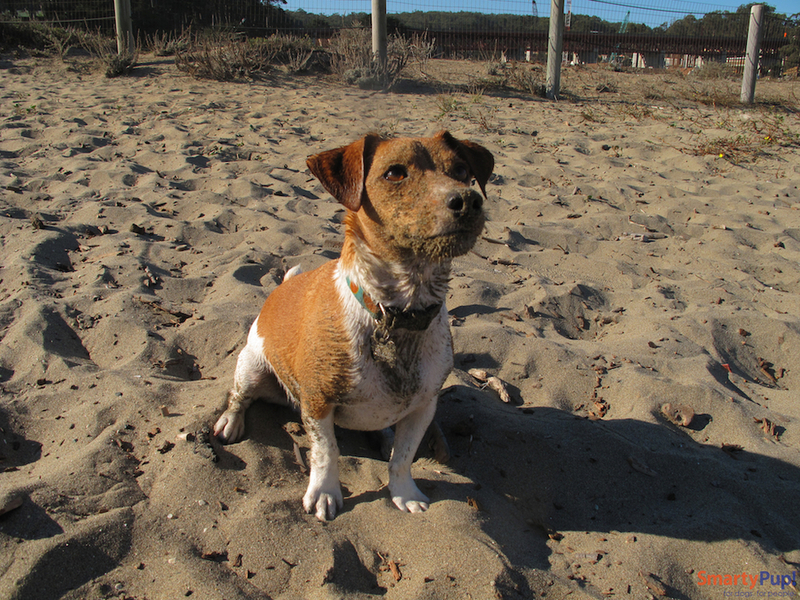 Due to the 2018 Outbreak of Canine Influenza in the Bay Area, We are recommending dogs receive the Canine Flu vaccine. Please talk to your Vet. It is not required. 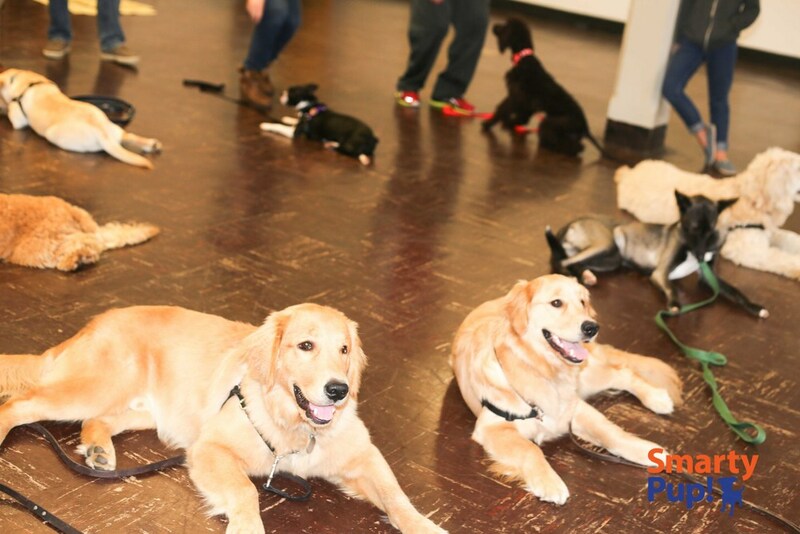 What To Expect At A Puppy Social (Besides All The Fun). 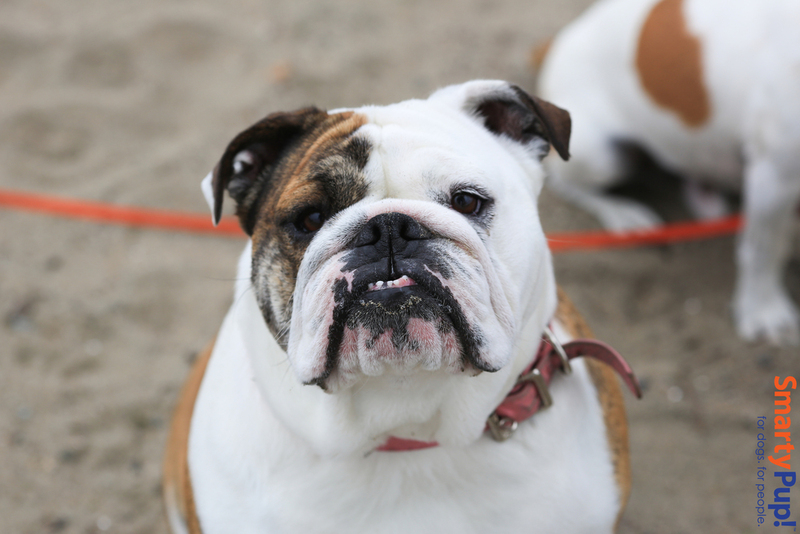 During play, you'll see growls of joy and warning, barking, whining, snarling, yips of fear and excitement, snapping, biting, wrestling, running, hiding, and pawing—just to name a few behaviors. If a pup gets nipped too hard or approached too quickly. . . A loud yelp or a heading for the hills may ensue! It’s ok. They'll be okay and eventually be right back out there. They’re just surprised and need to learn how to communicate to their playmate, "Hey, stop that! I don’t like that!” or “I don't want to play with you right now. 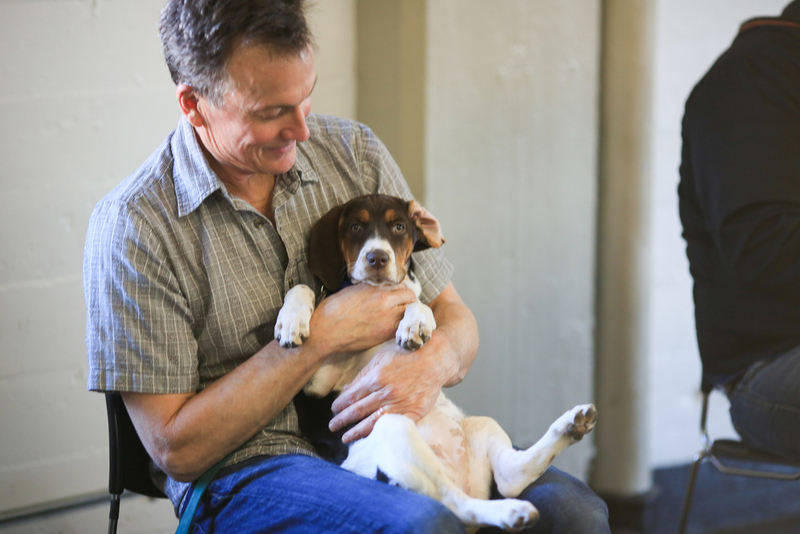 Go away.” Puppies will also naturally roll onto their back—an appeasement gesture to ward off further interactions. One puppy will pounce near another pup trying to initiate play—the pounced pup may screech with terror, but when he realizes that, in fact, there was nothing to fear and that all is well in puppydom—he will bounce back and try again. The “pouncer” will learn that he needs to be a bit "smoother" in his effort to get other pups to play with him. These behaviors all occurred within your puppy's litter and now needs repeating as puppies meet their new friends. It is a learning experience for all, full of trial and error. 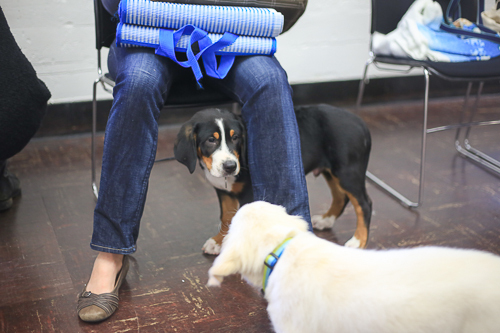 Puppies need to learn to how to be a dog, and they do this by interacting with their peers. SmartyPup! 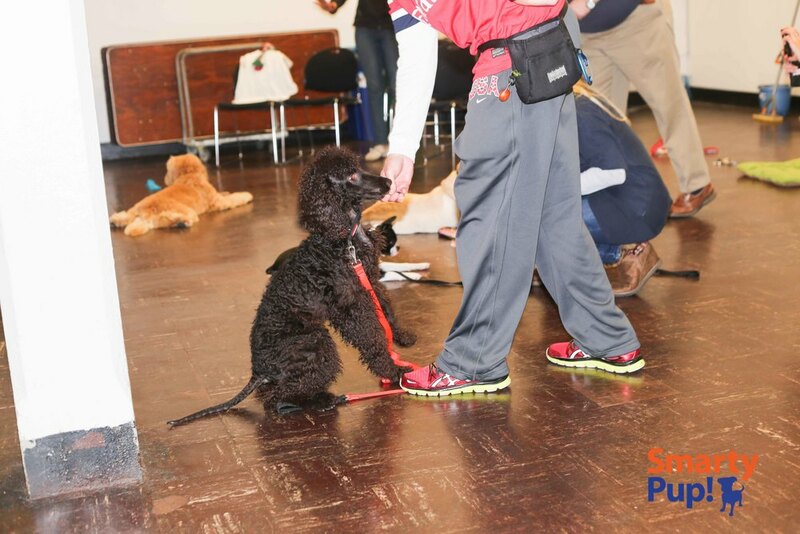 Socials give you (with our help if you want it) the opportunity to assess your pup's personality and watch out for problems that could develop. Most problems seen in adult dogs can be easily spotted in young pups and dealt with before they become dangerous. 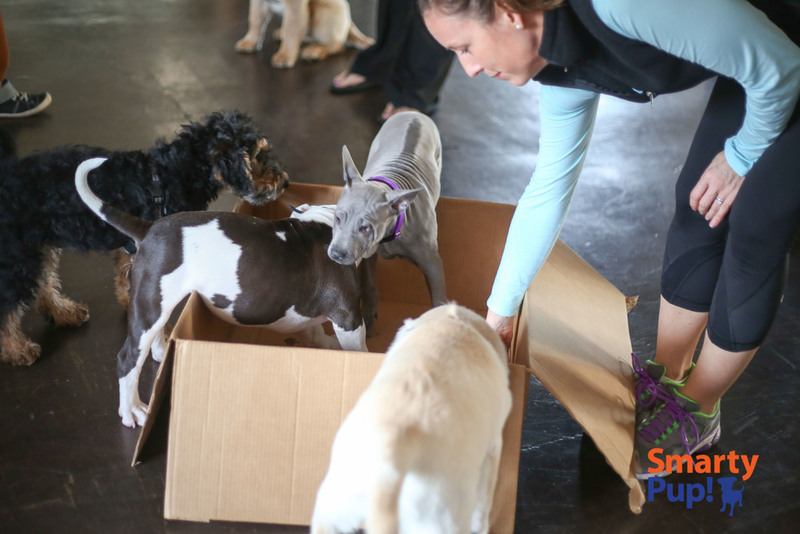 By providing positive and safe socialization during your puppy's sensitive developmental period and beyond, most problems can be avoided altogether. 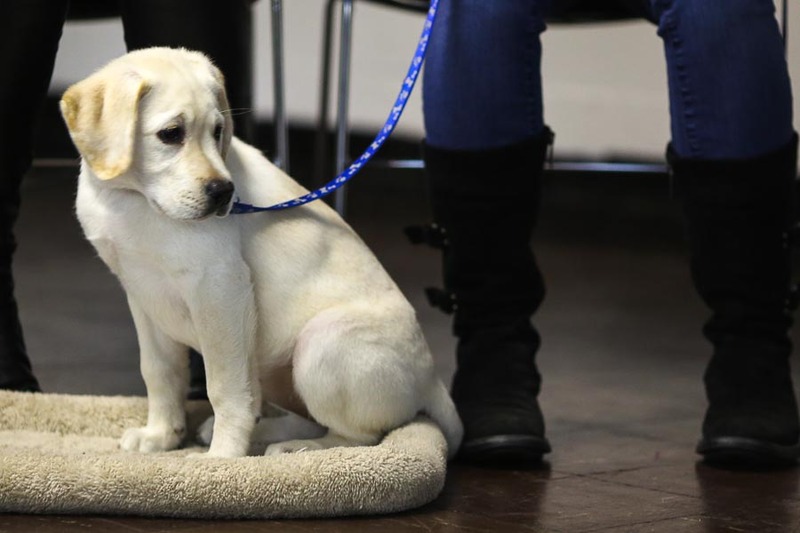 After 12 weeks, puppies become molded behaviorally—whatever he does not accept is harder to change in the future.